California Assembly Speaker Anthony Rendon (D-Paramount) cited the 1997 “gang related” shooting of his 16-year-old cousin Armando this week as a reason for pursuing more gun control for law-abiding citizens. 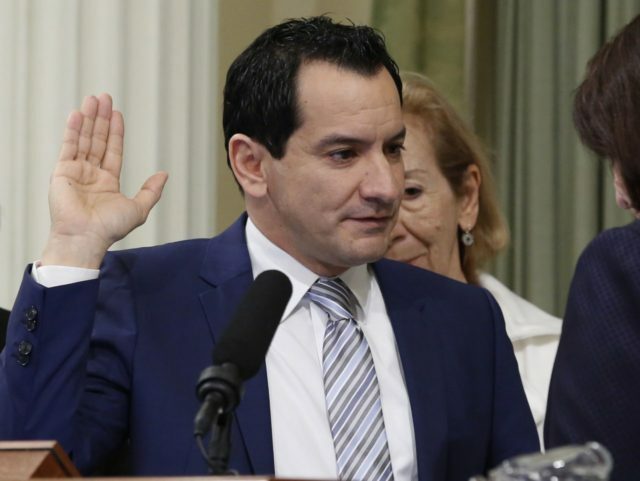 According to the Los Angeles Times, Rendon said that going to Armando’s funeral taught him that “[t]his can happen to any family.” And he cited Armando as one of the motivations for passing seven new gun controls in June. Six of those controls were signed by Governor Jerry Brown on July 1, and the the seventh was signed on July 22. Eight months after Armadno was killed another of Rendon’s relatives, 38-year-old Charles Martinez, was shot and killed. Martinez was the “estranged husband of another of Rendon’s cousins” and was shot in Montecito Heights, allegedly “by a man with whom he had a dispute.” Rendon points to Maritnez as a motivation for more gun control, too. Another cousin, JoJo Martinez, was shot to death in 1995, but no reports on the circumstances of his death are available. Rendon also points to JoJo as a motivator for 21st century gun control.